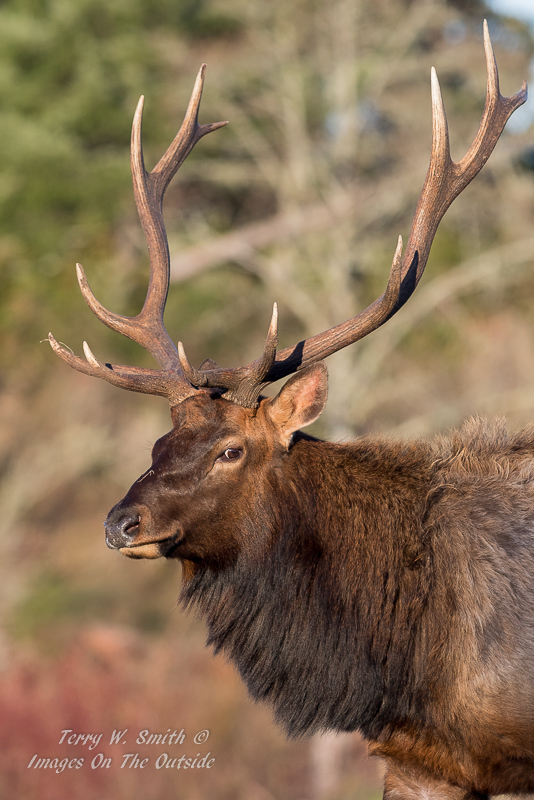 A few Elk showed up right near the edge of town, this bull didn't seem to mind people at all. Nice one. Looks like he's smiling for the camera! He might not mind too much, Terry, but he's definitely checking all around! Very nice portrait of this noble head. Beautiful portrait of a very handsome fellow. He looks a bit wary to me....as he should be! Initially I thought a shallower dof (hey that's why you got the 2.8 right) might work better to blow the background but stopping down a little does lend a better sense of the habitat and yet really doesn't compete with your subject, well done.